If you ask Dani Rawson, she’ll tell you one of the greatest assets she brings to the Estipona Group is her youth. And she’s not talking about her flawless dewy skin (Though seriously: Exfoliation? Hydration? Luminizing highlighter? Secret please, Dani?). Dani serves as Estipona Group’s Digital Media Coordinator, which is code for “she does a lot of everything.” With a bachelor’s degree in journalism and a minor in photography, she is well equipped for this multidimensional role. 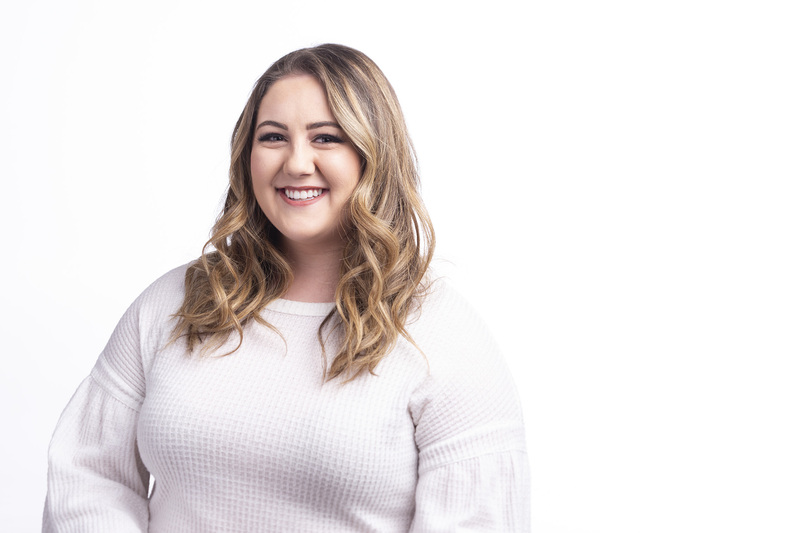 Dani spends much of her time writing, editing and scheduling social media content and digging deep into the data and analytics that help guide client social media strategies. She also shoots/edits video and takes photos to support the agency’s social media work. She finds the combination of creativity and analytics enthralling, but the most satisfying part of Dani’s young career has been working with her team. She loves the collaborative process and the art inherent to building a brand from scratch. When she’s not helping build online engagement for her clients, you might find Dani in the kitchen cooking for friends and family. Her next culinary goal is mastering bread-making. And while currently pet free — having reluctantly left the family dog behind when she moved from the family home — Dani assures us the condition is temporary, as this dog lover can’t wait to get her hands on a new furry friend.